If like me you were 16 years old in the mid to late 1970′s and took your first wobbly steps into Motorcycling during this time then this is the book for you. 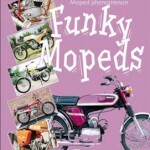 Funky Mopeds is written by Richard Skelton, qualified to write such a book as he started out on a purple Yamaha FS1E in 1977. The book is full of over 340 colour pictures with descriptions of all the sports mopeds, the stories of those who rode them, motorcycle restoration tips and a whole chapter devoted to the Yamaha FS1E. 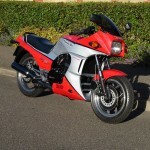 Remember the Suzuki AP50, the Frantic Fantics, Honda’s SS50. Mopeds from Gilera, Garelli, Casal they are all mentioned in this book. So, grab yourself a copy and sit back and revel in those days of flares and freedom. If you’re planning a motorcycle trip into Western Europe then don’t go anywhere without this wonderful 384 page book by Toby Ballentine. 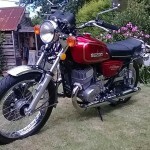 With step by step tours of all the major regions, “Motorcycle Journeys Through Western Europe” gives you all the information that you will need to make sure that your trip not only covers the main areas of interest but also provides routes taking in some of the best biking routes in Europe. From the D-Day Battlegrounds and The Band of Brothers Tour to the breathtaking mountain passes in Italy, Spain, Austria and Switzerland this book covers them all. 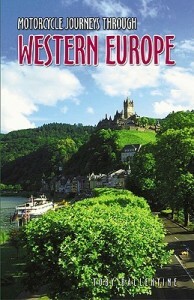 The Author, Toby Ballentine, has been touring Europe by Motorbike for many years and has drawn on his vast experiences to write this guide, he avoids major cities crowded with tourists, favoring the spectacular twists and turns in the countryside where you can experience the real Europe. Each route is mapped out and illustrated with full-colour photographs to wet your appetite and help you plan your trip of a lifetime. If you’re interested in Restoring a Motorcycle then try to get hold of a copy of this book … “The Restoration of Vintage & Thoroughbred Motorcycles”, by Jeff Clew. 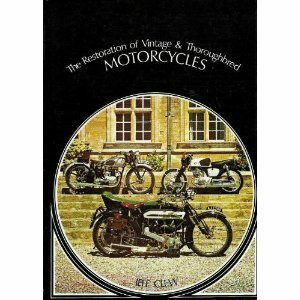 “The Restoration of Vintage & Thoroughbred Motorcycles” was first published in England in 1976 and reprinted in 1996. It’s pretty hard to get hold of now but copies can be found. 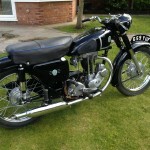 Get experienced advice from people who have restored motorcycles. 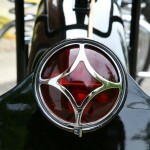 Join a national vintage motorcycle club with many members. Decide how much of a restoration you want. Don’t buy a basketcase of parts because it may just be what’s left over after another restorer gave up. When you find something that interests you, don’t delay…. it may be gone if you take too much time deciding. Use what you have but make sure it’s warm and dry and you have a good workbench with a strong vise. The area should have adequate lighting and handy electrical outlets. Check through your existing tools and weed out those that may cause damage during restoration. Thoroughly examine the machine to determine what needs to be done and take detailed pictures of your bike at the beginning so you remember where all the parts go. If the machine has scattered parts not attached, try to add them to the bike so you are sure what items may be missing. Assign boxes to major components as you disassemble to restore the bike. Make sketches and drawings of parts, electrical connections, etc. before disassembling. Decide what can be reused and what needs to be redone. Decide if you will do the individual work or have it done for you. Draw up a schedule to complete the various jobs. Be relaxed in the restoration but do stick to a schedule or it will never get finished. If a spark plug has been removed before you bought the bike, be wary that the pistons may have seized. Special procedures are necessary to free everything up. 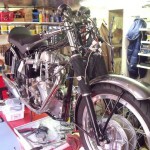 Engine renovation may best be left to a specialist contractor unless you are experienced. 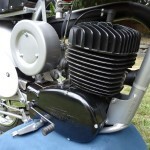 Carburetors suffer the most wear and may need to be replaced. Be sure to take the old unit with you as you seek out a replacement. Previous owners may have the wrong parts installed. 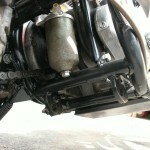 Be careful that the muffler system is solidly mounted and no air leaks are present. Most restored machines aren’t used that much. You need to store the bike in a warm, dry area. Always clean it after each use. Keep it locked up so it won’t be stolen. Don’t leave registration and other papers with the machine. Take special precautions with the battery and stabilize the fuel if you expect the machine to not be ridden for a long time. 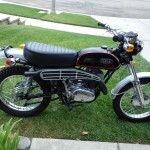 Hopefully, the tips contained in the book should get you started learning about the art of motorcycle restoration and reading this book will make your journey much smoother. 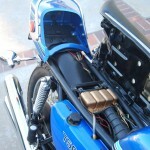 This 192-page “How to Restore Your Motorcycle” workshop manual and guide was published in June 2010 by Mark Zimmerman. It’s RRP is £18.99 but Amazon.co.uk will usually sell it for a few pounds less. The Amazon link below allows you to have a ‘live preview’ of the book which displays the first 20-30 pages in full-page colour. It has 18 chapters covering ..
It’s certainly a useful read for anyone considering embarking on a motorcycle restoration project.